This protein-packed pudding is sure to keep you going through until 2pm. Great for long-winded lunch meetings. 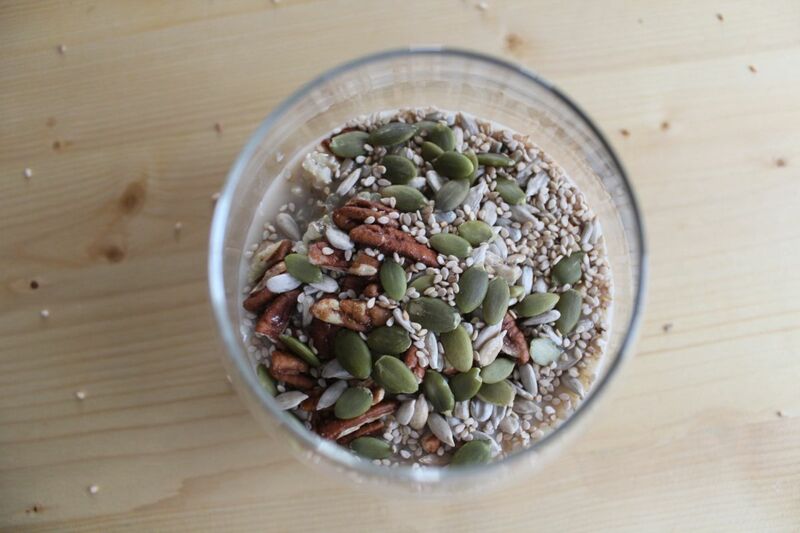 Place quinoa, chia seeds, hemp hearts, maple syrup and cashew milk in a jar or bowl and cover. Shake or mix well and place in the fridge overnight or for at least 3 hours to let the chia absorb the liquid. Add in the cinnamon, nuts and seeds and stir to combine.